eBay is one of the largest and oldest online marketplaces in the world. Discover top sellers. Get help deciding from whom to buy. Trust their reputation. 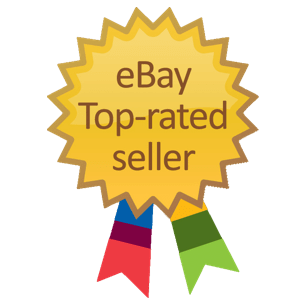 Top Rated Seller status is awarded to sellers who meet certain sales and tracking requirements, as well as specific performance standards. There are tens of millions of sellers on eBay, however not all of them are active. 3,722,747 sellers received one or more review in a month. During the last thirty days 54,379,865 seller reviews were left. A seller on eBay receives seller feedback reviews from customers after a purchase. This list was last updated on April 22nd .